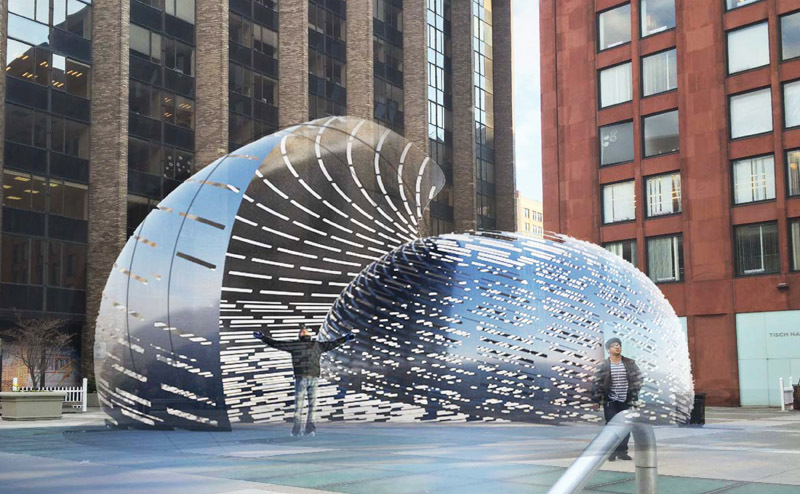 This massive, interactive art installation featured a captivating soundscape to represent the 19 Earth Science satellites that monitor our planet’s ever-changing pulse from their unique vantage points. In addition to the sonic interpretations of this group of satellites orbiting Earth, visitors were able to view our planet through 3-D programs, and conduct hands-on activities with NASA scientists. Created by NASA in collaboration with STUDIOKCA and Shane Myrbeck.